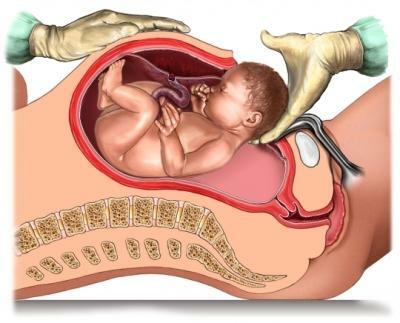 The influence of cesarean section, perineal tearing, and episiotomy on a mothers movement patterns post child birth are too often left unexplored. A program may be put in place to ‘strengthen and tone’ the mid section and pelvic floor, with little specificity and consideration of the individualised compensatory movement patterns and imbalances that may have developed. Even after scar tissue has healed, compensational movement patterns can still be present. The brains map of the body and what movement patterns are perceived as safe and neurally available can be scrambled by the presense of scar tissue. One nice way to think about it is that the hardware (tissue) has healed, but the software (body maps and motor control patterns) still needs re-educating and re-connection. The abdominal wall and pelvic floor are part of the inner unit, or intrinsic core. 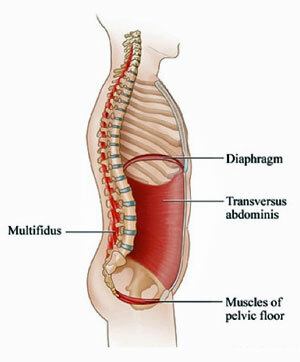 The intrinsic core is a group of muscles that harmonise together with the breath, to build intra-abdominal pressure, and provide dynamic stability for spine and centre of the body. If these intrinsic core muscles are struggling to work together as a team, because perhaps one has been torn, cut, other areas have to work harder to compensate. In terms of “body maps” and spaces the body explores in motion.. Some movements of the pelvis for example may be perceived as threatening, as they once may have aggravated the healing tissue of the pelvic floor or abdominal wall. So now if the pelvis has limited movement in a particular plane of motion.. what moves more? What makes up for it? Spine? Ribcage? Skull? Jaw? Knee? Ankle? Many possibilities.. unique to each individual. To restore balance, re-coordinate muscle timing and lost movement patterns it is important to assess how the body presents. How is the body structure being held? When the body is in motion, what spaces does it move into, and what spaces might be avoided? Is movement one way favoured over movement the other way? How could cersarian section, perineal tearing, epesiotomy scaring have influenced this presentation? How could scar tissue be influencing things? Could the body be moving towards or away from the scar tissue? Can the client move in such a way that allows the scar tissue to lengthen and shorten in multiple planes? If not.. why? What emotions may be connected to this area? Can the brain connect with certain muscles/patterns when required? Neurokinetic Therapy (NKT) manual muscle testing can be used to communicate with with the brains motor control centre, to discover whether or not a specific muscle/pattern is neurally available for movement. This makes it possible to test whether or not the brain can connect with a particular muscle/pattern, as well as test a muscles relationship with other muscles, ligaments, joints, scars. Does the particular muscle or pattern need strengthening or releasing? NKT testing makes it possible to test the Pelvic Floor in a very specific and non-invasive way. The pelvic floor testing can be split into four quadrants. Anterior left and right (wees), and Posterior left and right (poos). It is very possible for half of the pelvic floor to be firing more than the other… or one quadrant working over time, with the rest of the pelvic floor struggling.. Anterior more than posterior etc… It is also possible to test and discover if any pelvic floor scarring is inhibiting movement patterns locally or globally. Does one part of the pelvic floor need releasing, and another area strengthening? Being specific in this way is a no brainer. Instead of just assuming and guessing that anyone with pelvic floor issues should strengthen the pelvic floor.. It is possible to test, and the correctives can become tailored to suit the individual and their presentation. Release this.. strengthen that. A combination of manual therapy and movement exploration, based on assessment, makes for a nice way to reconnect with lost movement patterns, re-organise muscle timings, and liberate movement potential. So if things just haven’t felt the same after child birth, and a one size fits all approach isn’t meeting the mark, I recommend getting assessed. Working with someone who is interested in taking an individualised approach based on the history, assessment and exploration of YOUR body will go a long way. Balance things out, to then return to your strength/toning/exercise regime with greater confidence, centeredness and efficiency.